In a rare show of bipartisanship, the Senate voted 96 – 1 to fund the Food and Drug Administration (FDA), a regulatory powerhouse with far-reaching influence over the foods Americans eat and the medicines they take. The bill’s goal is to speed approval of new drugs and devices and ensure food safety. It reauthorizes fees from companies like Johnson & Johnson, Medtronic, Inc. and Roche Holding AG that facilitate FDA evaluation of new medical products prior to approval. These user fees could provide approximately 50 percent of the FDA’s proposed $4.5 billion budget for 2013. The FDA regulates products that make up nearly 25 percent of the American economy. Similar legislation has passed a House committee with support from both sides of the aisle and may move to the full House for a vote quickly. Senate leaders sped the bill through the chamber, emphasizing its importance in protecting consumer safety and promoting innovation in medicine. “This bill is a shining example of what we can achieve when we all work together,” said Senator Tom Harkin (D-IA), who chairs the Senate committee that oversees the FDA. Industry user fees, first enacted in 1992, give the FDA millions of dollars annually to review new products for the American market but must be renewed every five years. The current version will expire in September. Additionally, for the first time the FDA will also collect fees from makers of generic drugs and of copycat versions of complex biotech drugs, known as biosimilars. “We’ve worked on this bill for 18 months,” Harkin said as he and ranking member Mike Enzi (R-WY) refereed the mostly cordial debate. The two led opposition to all of the amendments that came up for a vote, and all were defeated. Senator John McCain (R-AZ) proposed an amendment that would let Americans import drugs from approved Canadian pharmacies. “In a normal world, this would require a voice vote,” McCain said. “But what we’re about to see is the incredible influence of special interests here, particularly (the Pharmaceutical Manufacturers Association).” Senator Robert Menendez (D-NJ) argued that it’s not about the special interests. “It’s about the health and security of the American people, which is why time after time the Senate has rejected it,” Menendez said. For more than seven decades, the FDA has primarily inspected U.S. factories. In recent years, pharmaceutical companies have moved their operations overseas to take advantage of cheaper labor and materials. Between 2001 and 2008 the number of American drugs made overseas doubled, according FDA figures. Today approximately 80 percent of the ingredients used in U.S. medicines are made in other countries. Secretary of Health and Human Services Kathleen Sebelius has asked civil rights activists to help defend the Patient Protection and Affordable Care Act (ACA), noting that the healthcare law faces an “enemy” whose goal is to set American health policy back half a century. The remarks come two months before the Supreme Court is expected to issue a ruling that could strike down the law. Civil rights advocates and the minorities they often represent form a key segment of the Democratic base, especially if the Supreme Court strikes down Obama’s signature domestic policy achievement. Research shows that low-income Americans, including many minorities, have significantly less access to medical care and suffer higher rates of childhood illnesses, hypertension, heart disease, AIDS and other diseases. Sebelius asked religious leaders, health advocates and other minority leaders to help the Obama administration educate the public about the healthcare law’s many benefits. The law, which becomes fully effective on January 1, 2014, has already benefited minorities by extending private insurance coverage to young adults, providing free preventive services for those with insurance and prohibiting coverage denials for children with pre-existing conditions. At a time when concern about federal deficits and the national debt are growing, few quarrel with the need to reform Medicare. The health insurance program for seniors and people with certain disabilities accounts for 15 percent of the federal budget – in third place behind Social Security and defense spending. That share is rising as healthcare costs continue to rise and more baby boomers retire, threatening the program’s long-term solvency. Several of the most prominent solutions under discussion largely derive their savings by shifting a greater share of the cost onto beneficiaries. The plan sponsored by Representative Paul Ryan (R-WI) and passed by the House of Representatives would significantly cut Medicare spending by capping the government’s contribution to the program and transforming it into a system of “premium supports” given to seniors to help subsidize their purchase of private insurance plans, with seniors paying additional costs. This would double out-of-pocket spending by the average senior to $12,500 each year, according to Congressional Budget Office estimates. The ability of a majority of seniors to shoulder that burden appears dubious. 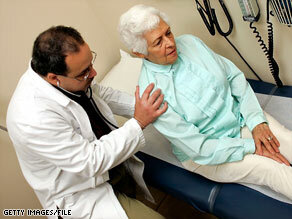 Just five percent of Medicare beneficiaries make $80,000 or more, a figure that includes any income from a spouse. For the 47 percent of seniors who are at or close to poverty, on average they are already spending nearly 25 percent of their budgets on healthcare, according to an analysis by the Kaiser Family Foundation. Twenty-seven percent – including 36 percent of Democrats – believe that only minor changes are needed. Another 13 percent said the program needs to be completely rebuilt. Fully 53 percent said Medicare needs fundamental changes — even though the program has many good points. People who want basic changes include a majority of Republicans and independents, though just 43 percent of Democrats support the plan. A majority of Americans between ages 18 and 64 want significant changes. Just 37 percent of those 65 and older agree. Additionally, respondents were asked if they wanted to see Medicare “continue the way it is set up now, as a program that pays the doctors and hospitals that treat senior citizens” or “if they think it should be transformed into “a program that gives senior citizens payments towards the purchase of private insurance.” Democrats want to retain Medicare in its present form; Republicans want to transform it into a voucher system in which seniors choose their coverage and are given money to cover their insurance premiums. So strongly does the Senate Democratic leadership feel, they have reaffirmed that Medicare cuts should not be on the table during the debt ceiling discussions. 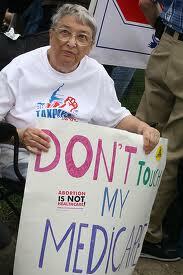 “Seniors can’t afford it,” Senate Majority Leader Harry Reid (D-NV) said. “The vast majority of the American people, including most Republicans, do not support changing Medicare as we know it, as articulated in that piece of legislation that came from the House. That” piece of legislation is the Paul Ryan (R-WI) plan, “The Path to Prosperity”, which slashes the budget deficit by about $5 trillion over the next decade. Ryan’s plan would overturn the Patient Protection and Affordable Care Act (ACA) and proposes major reforms to Medicaid and Medicare. Medicaid would become a block grant system; the federal government would allocate money to states, giving them greater flexibility to shape their healthcare programs that serve the poor. Currently, the government matches every dollar that states spend on Medicaid; the formula varies from state to state. 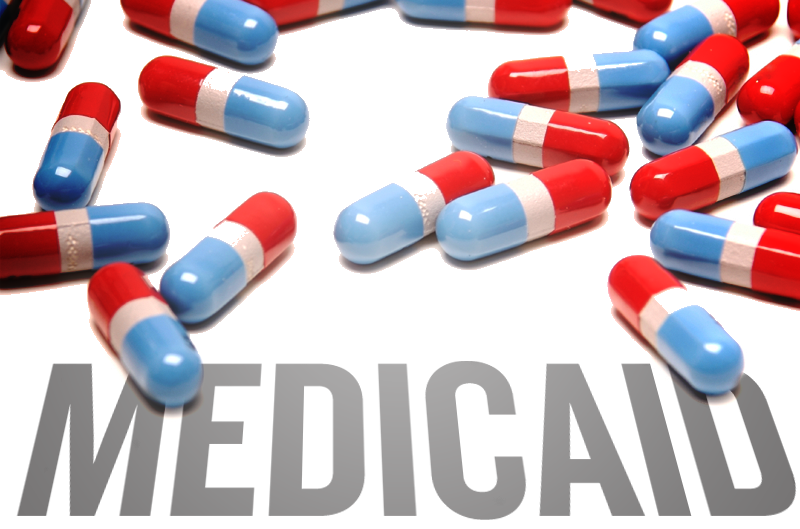 Another recent poll, conducted by the Pew Research Center, found that older Americans do not have a favorable opinion about privatizing Medicare. Fifty-one percent of people aged 50 and over oppose the plan, while just 29 percent support it. Even among Republicans, more respondents oppose the plan than support it. The changes are designed to save the program’s finances by trimming government benefits for all Americans under the age of 55. Medicare says it will run out of funds to pay full benefits by 2024. One person polled is Michael A. Smith, a 54-year-old lifelong Republican who is currently unemployed and lives in the Philadelphia suburbs. “A community like this, they want jobs and no changes in the funds they’ve paid into all their lives,” Smith said. Five Senators want to take the House-passed Medicare plan off the table in bipartisan deficit reduction talks, claiming that the plan effectively dismantles the program. According to the Senators, the Medicare plan, which passed as part of a budget proposal in April, would jeopardize senior citizens’ current benefits and double out-of-pocket costs. The five are Senator Ben Cardin (D-MD); Senator Sherrod Brown (D-OH); Senator Bill Nelson, (D-FL); Senator Claire McCaskill, (D-MO); and Senator Jon Tester, (D-MT). According to the letter,“This proposal would never pass Congress on its own, and it does not belong in a larger deal either. It would be devastating for America’s seniors, who would see their out-of-pocket costs for healthcare double and the benefits they currently enjoy jeopardized. Under this risky proposal, insurance company bureaucrats would decide what seniors get.” Biden is leading talks to raise the debt ceiling and negotiating with lawmakers regarding ways to reduce the deficit as a trade-off to raise the debt ceiling. (R-OH), urging President Barack Obama to involve himself personally. “It is time to play large ball, not small ball.” House Democratic leader Representative Nancy Pelosi (D-CA) said, “I could never support any arrangement that reduced benefits for Medicare. Absolutely not,” she said,” emphasizing a position she and other Democrats had laid out at their own meeting with the president. Given Medicare’s size — nearly $500 billion a year — any deal on cutting future deficits is likely to include savings from the program, and may include the benefit cuts that most Democrats oppose. Some Republicans are backing away from Ryan’s proposal. For example, presidential candidate Newt Gingrich had egg on his face after suggesting that the plan is “radical… right-wing social engineering,” Gingrich’s explanations proved too little, too late for many conservatives, who continue to hammer the former House speaker for his gaffe. As the Patient Protection and Affordable Care Act (ACA) celebrates its first birthday, the future of the law is still unclear, but its effects have been enormous. The debate over the law likely created the “tea party” movement. Last November, Republicans took control of the House of Representatives and strengthened their numbers in the Senate. Potential contenders for the 2012 Republican presidential nomination need only say one word, “Obamacare,” to get a negative reaction from a crowd. President Obama at times himself has struggled to ensure that his first term isn’t defined solely by this legislation. Public opinion over the ACA remains divided, despite the efforts of Democrats to showcase how it will provide healthcare insurance to millions of uninsured Americans. Additionally, most Americans remain confused about what the healthcare overhaul actually accomplishes. 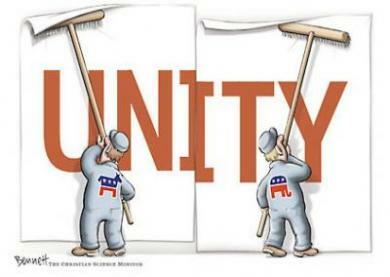 Republicans considering a 2012 presidential race for the most part stand united in their opposition to the legislation. Former Minnesota Governor Tim Pawlenty is using his opposition to the law to gain a national following. “If courts do not do so first, as president, I would support the immediate repeal of Obamacare and replace it with market-based healthcare reforms,” Pawlenty said. Former Massachusetts Governor Mitt Romney is in a different position because he supported a similar law during his tenure. What’s the future of the Affordable Care Act? House Republicans, who say the law gives the federal government too much control and doesn’t cut costs, passed a repeal bill after they became the majority in January. Full repeal is unlikely unless Republicans successfully take control of the Senate and the presidency in the 2012 presidential elections. The current Democratic-led Senate will not vote to repeal and President Obama would certainly veto a repeal bill. Democrats argue the law’s reforms will slow the growth of healthcare costs while improving care and reducing the ranks of the uninsured. Republican efforts to withhold funds to block the law’s implementation will be DOA in the Senate. That leaves Republicans the option of picking apart the law regulation by regulation, a strategy that could prove more successful.